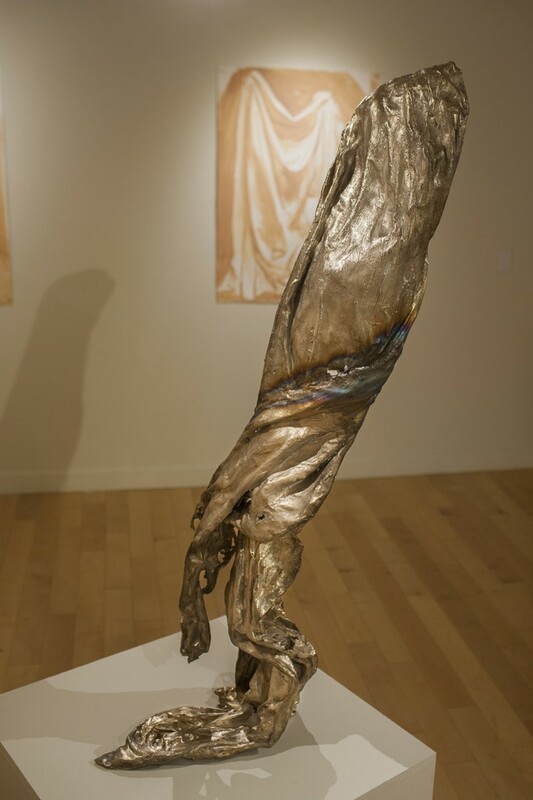 In this exhibition, Ryan focuses on the ephemeral presence of the human form. 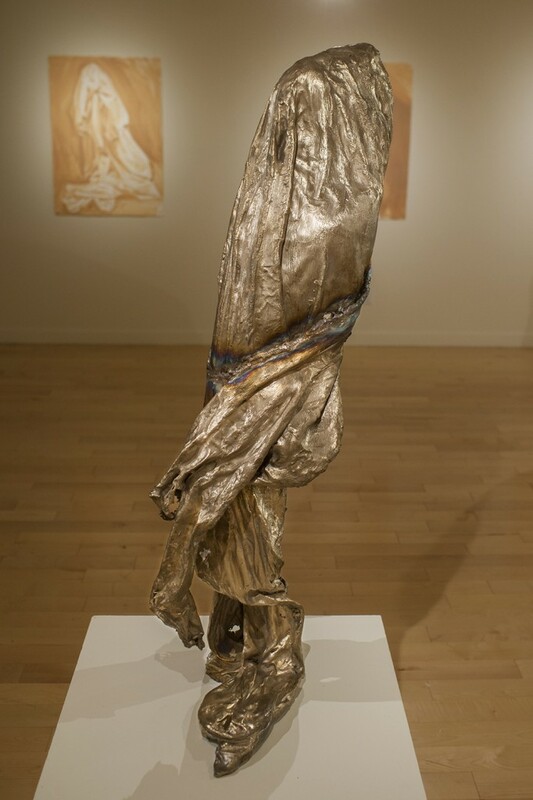 Drapery, haunted by bodily gesture, is preserved independent of its contextual origin. 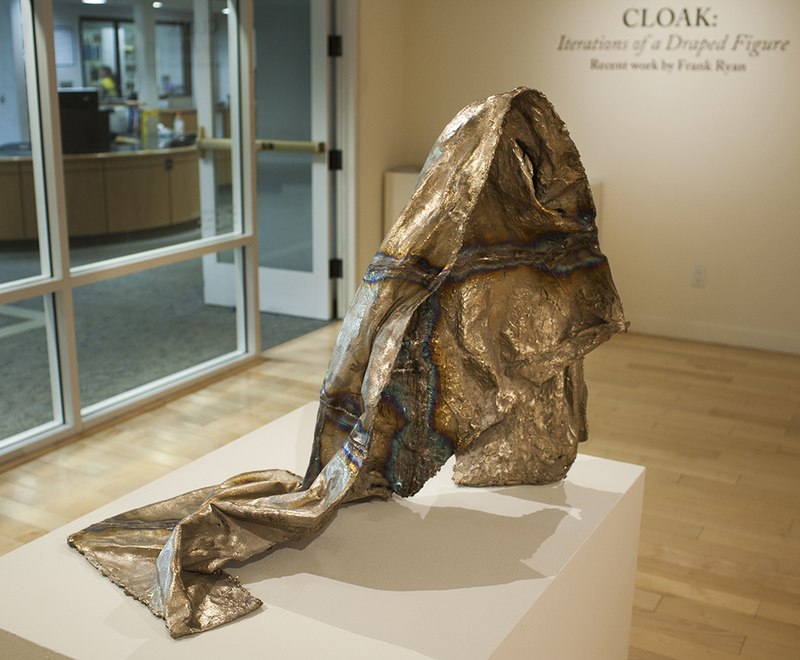 Clay wash drawings document a multitude of arrangements of a canvas drop cloth positioned against his studio wall. 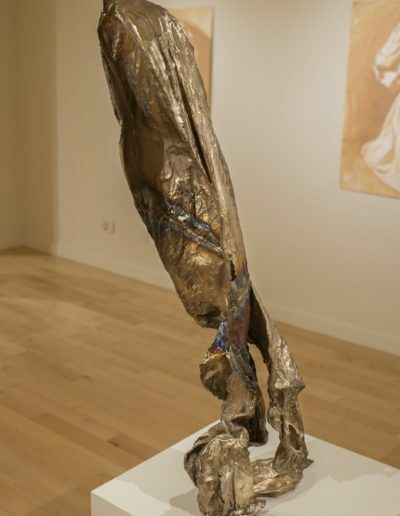 As structured exercises in both spontaneous composition and observational drawing, they remain the pictorial record of these sculptural iterations. 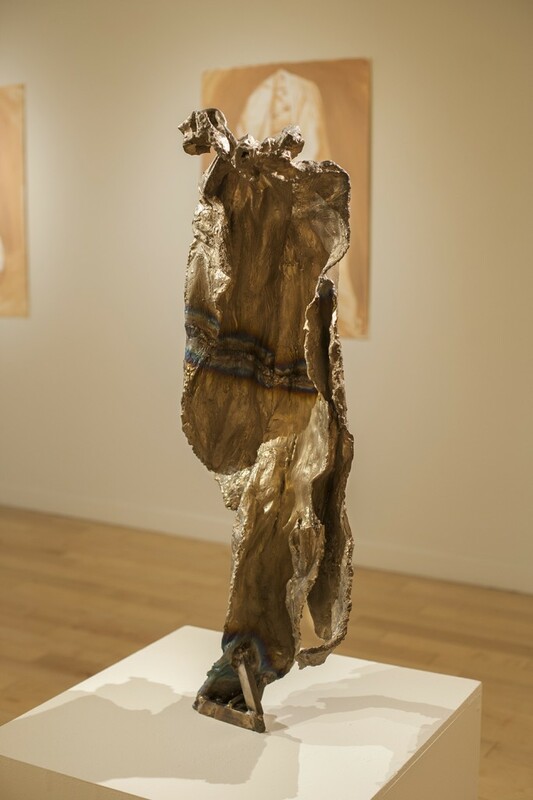 By using clay as a painting medium and linen as a sculptural form, he sought to blur the material associations of painting and sculpture. 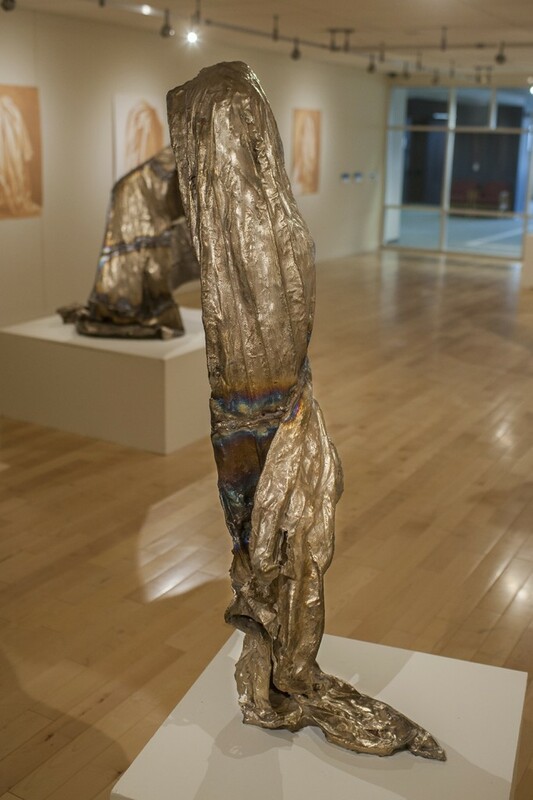 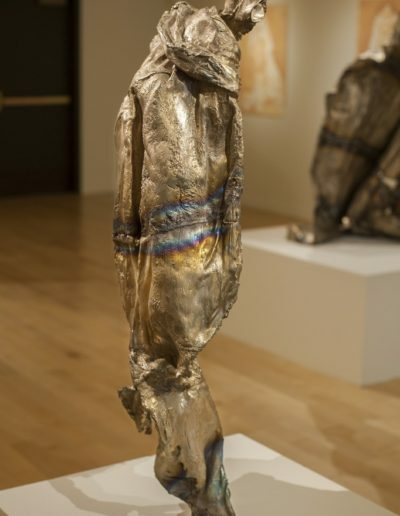 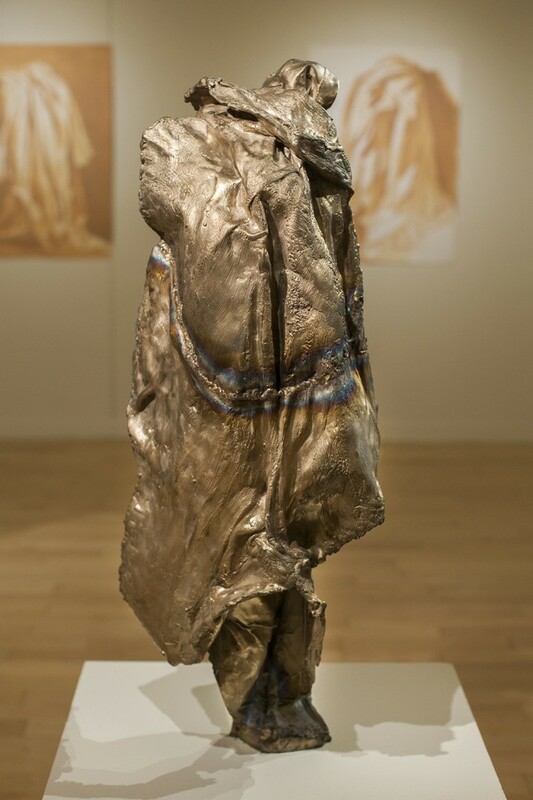 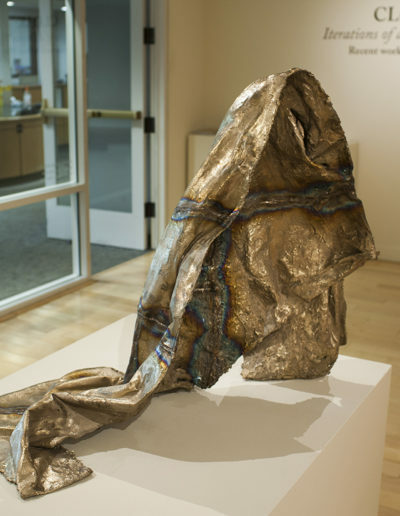 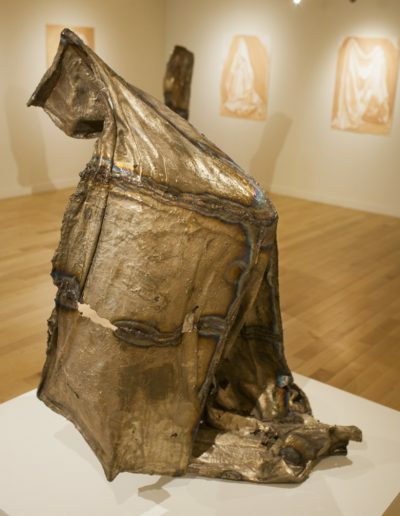 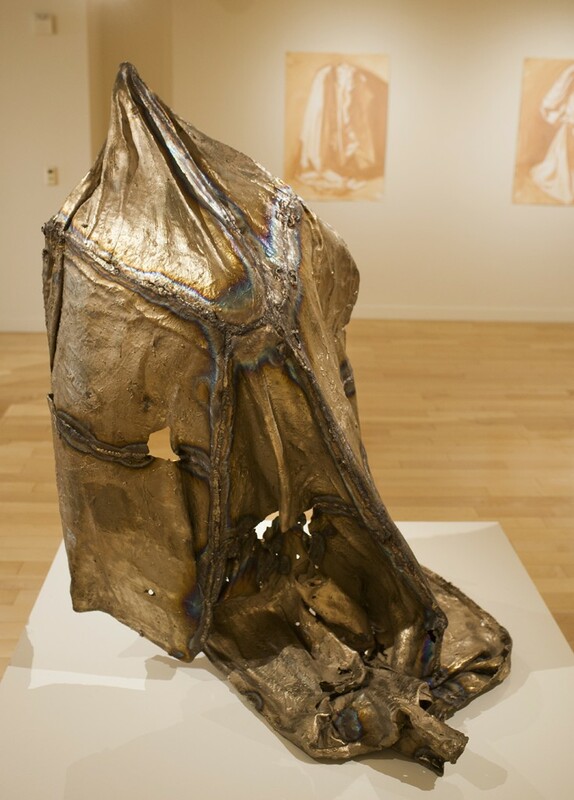 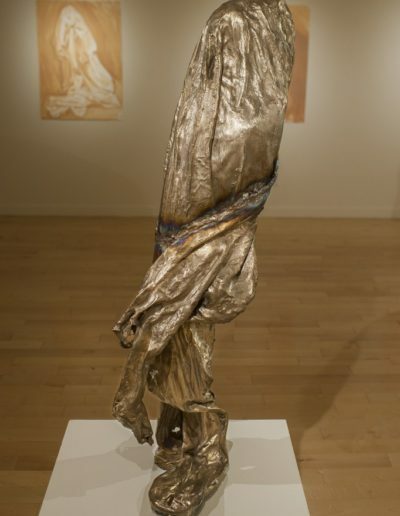 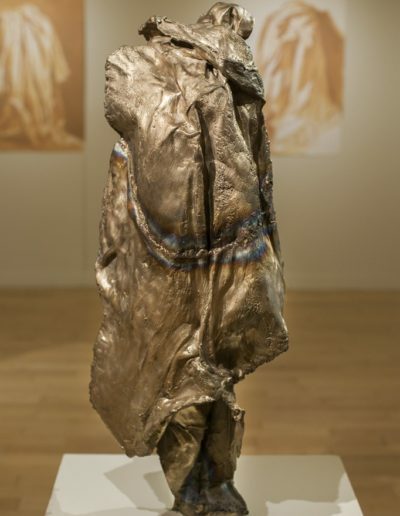 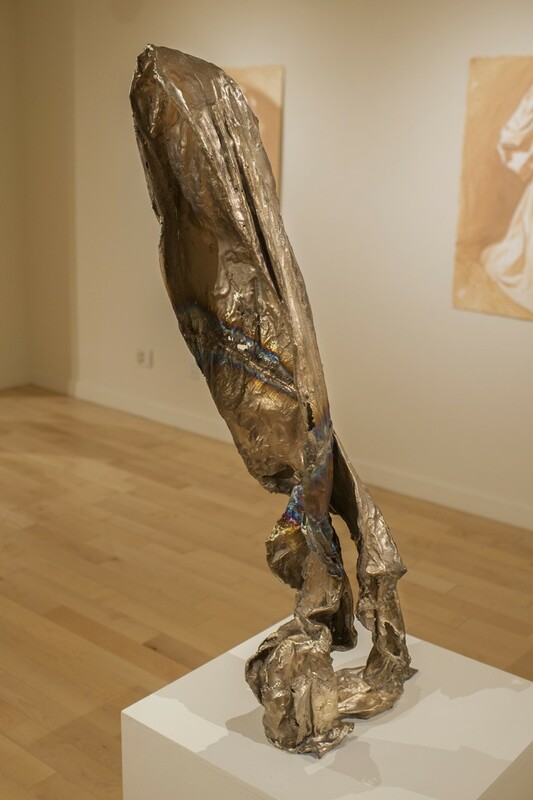 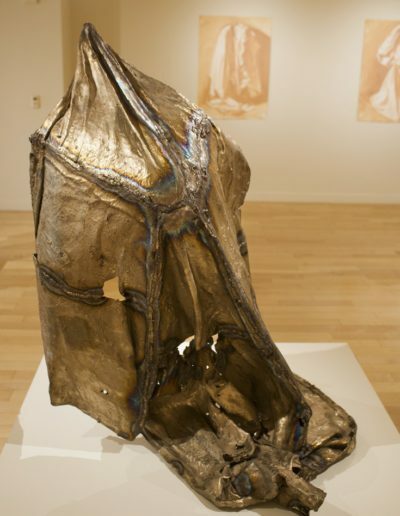 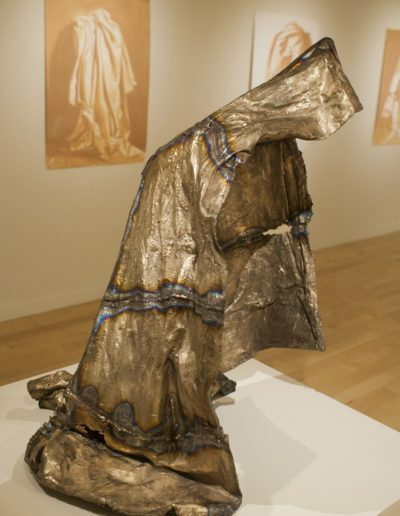 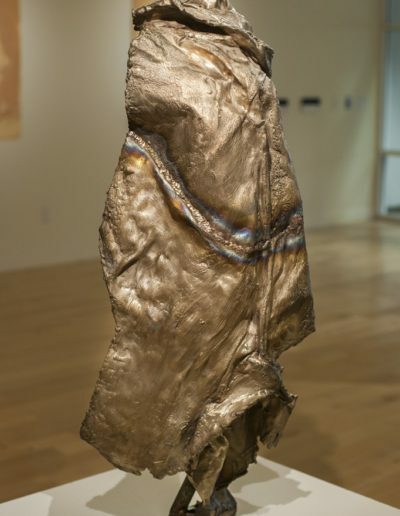 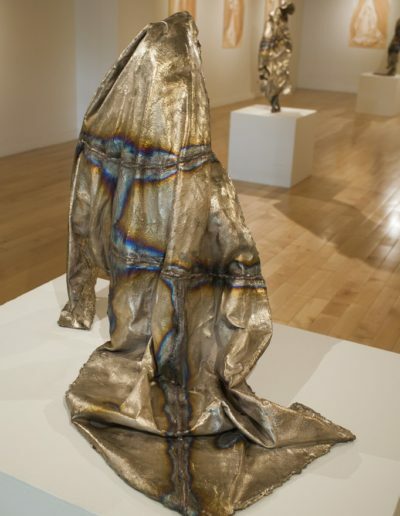 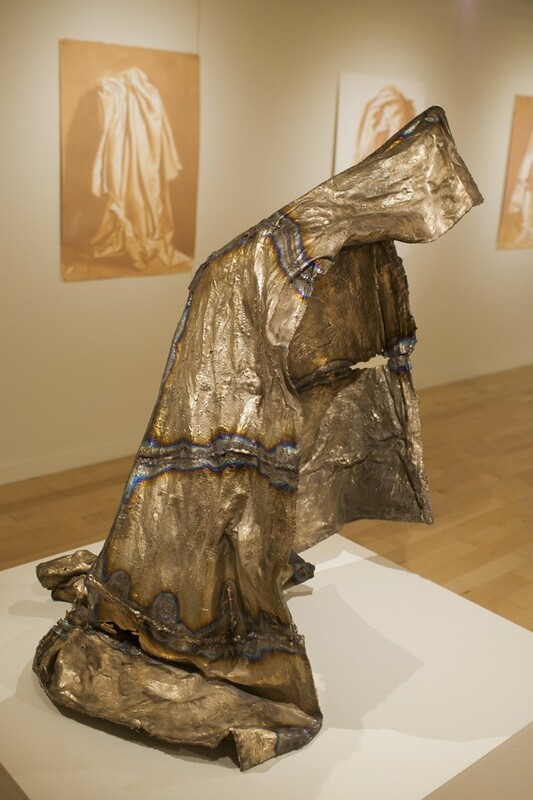 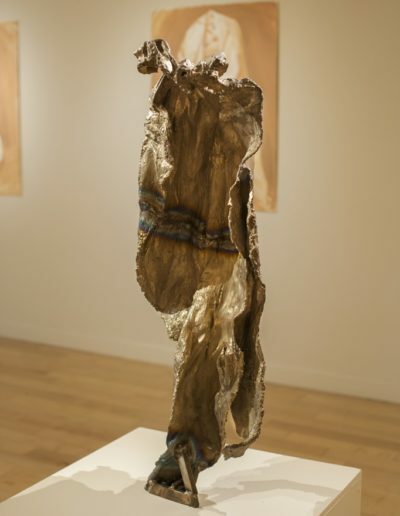 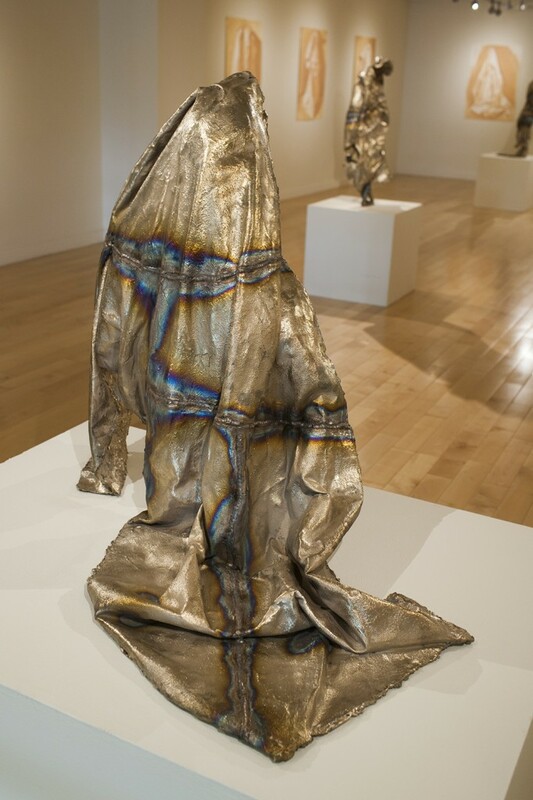 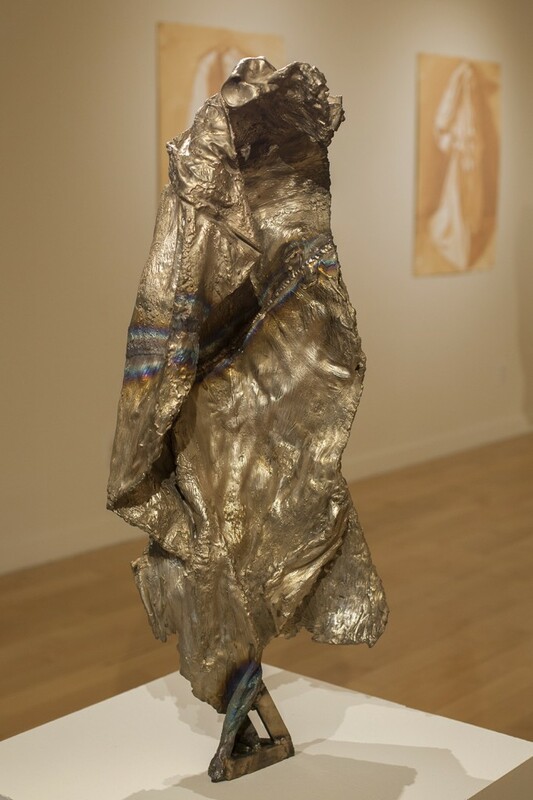 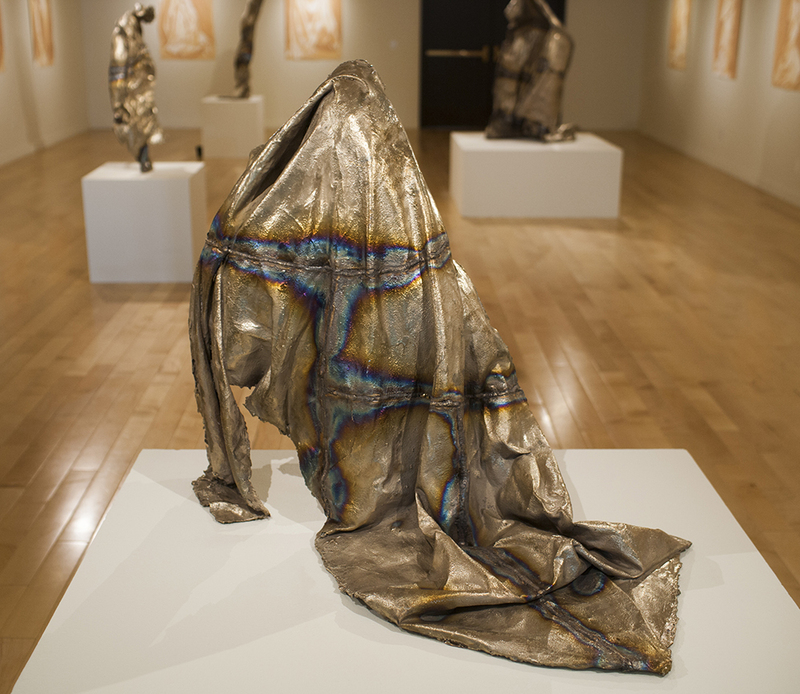 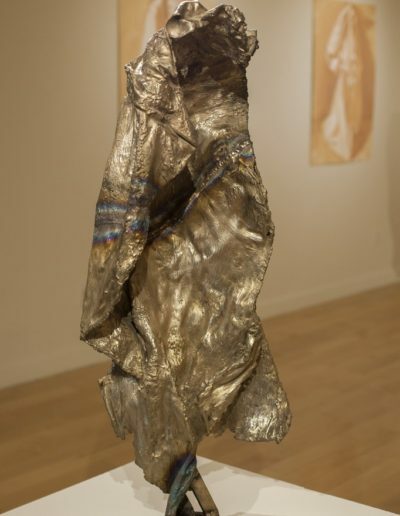 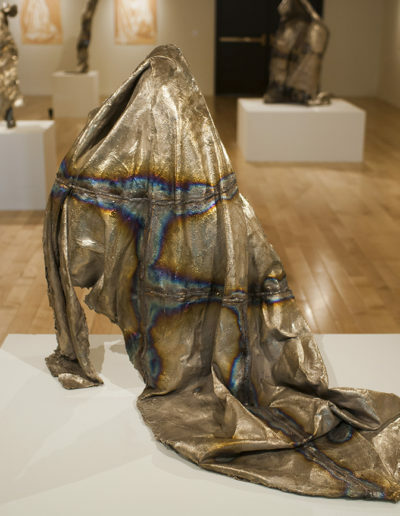 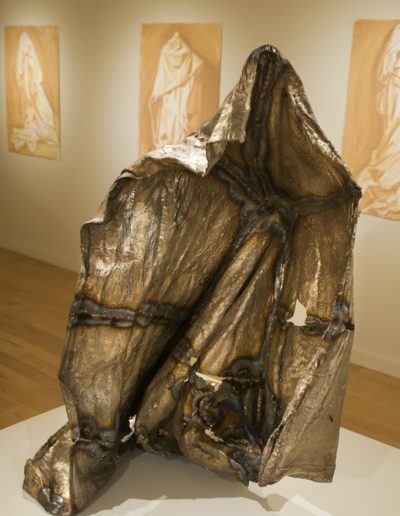 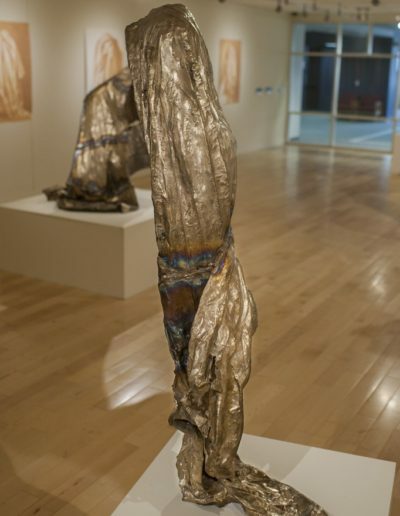 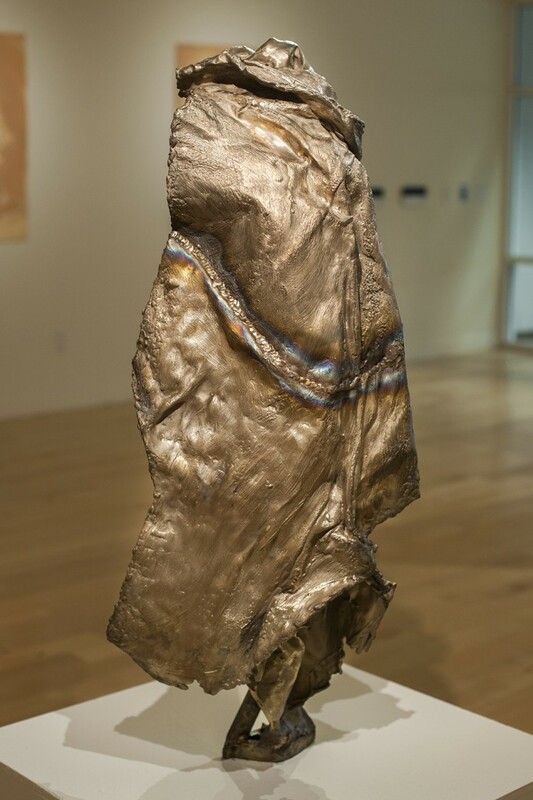 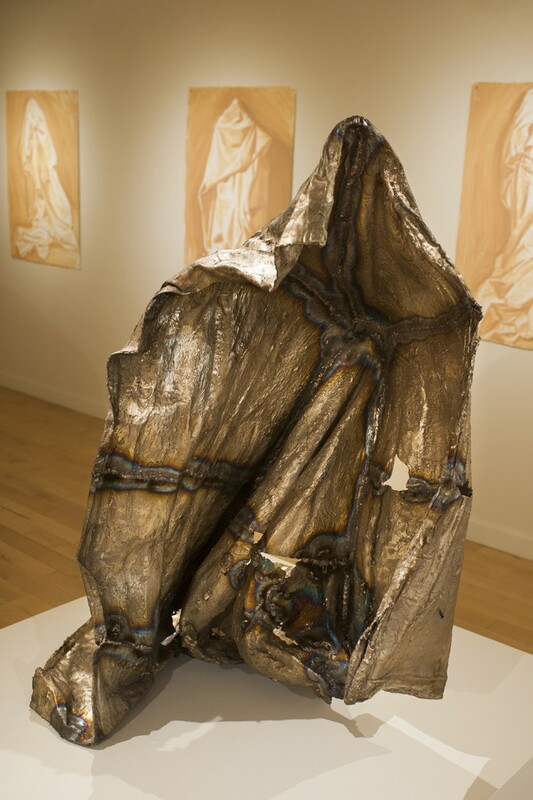 New bronze sculptures were cast from linen soaked with molten wax. 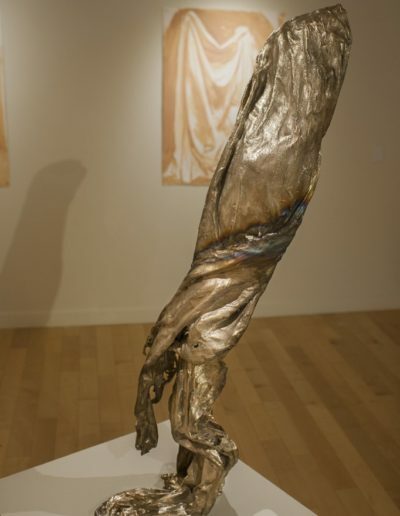 They register the momentary impressions left from his body in an enduring form. 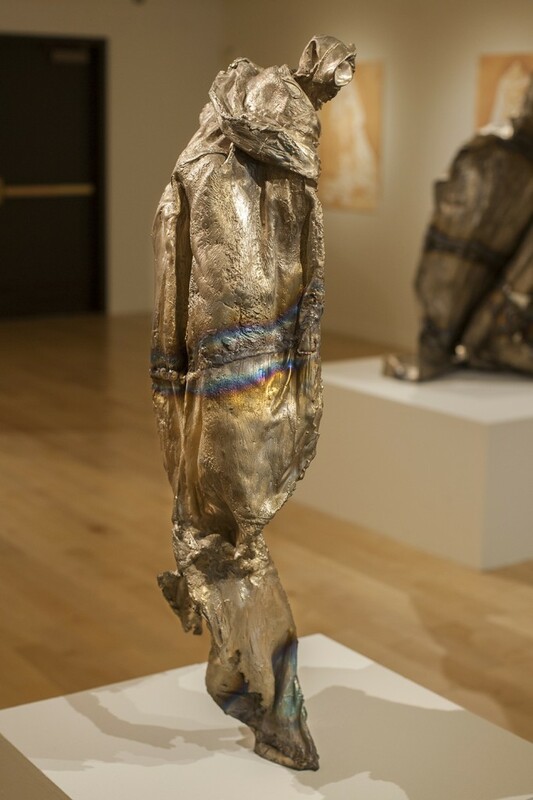 This exhibit reveals the central theme of desire for permanence in the face of dissolution.